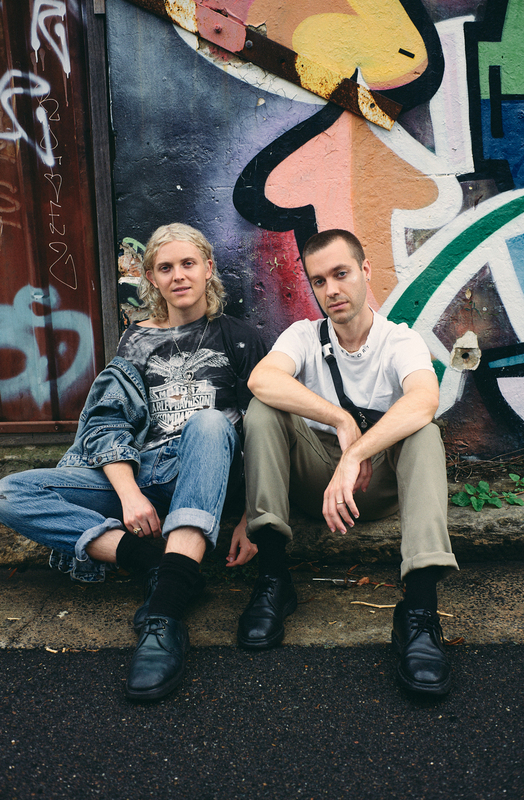 Cub Sport are touring Australia right now. 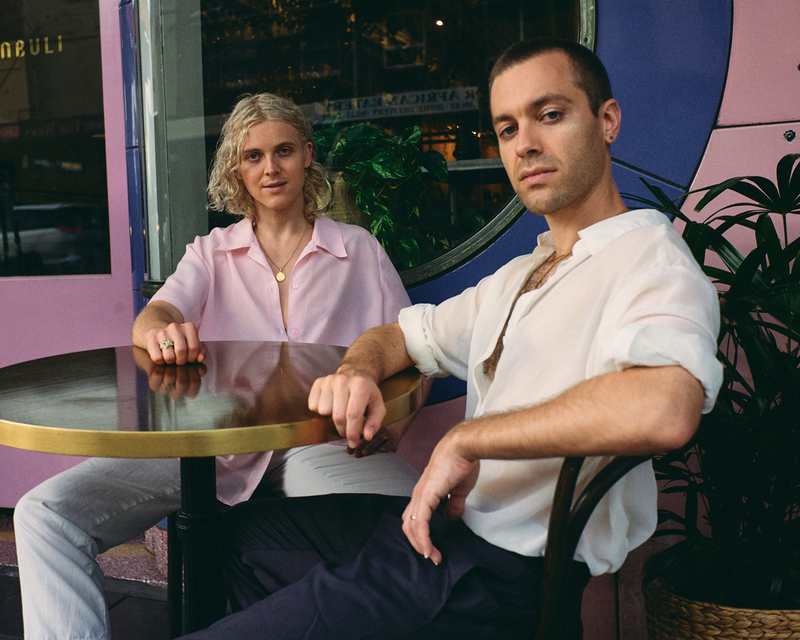 It’s the Brisbane-based alt-pop group’s biggest show to date, heroing their third album Cub Sport by Cub Sport under a canopy of neon strobes and some very cool onstage getup and slick-back hair. 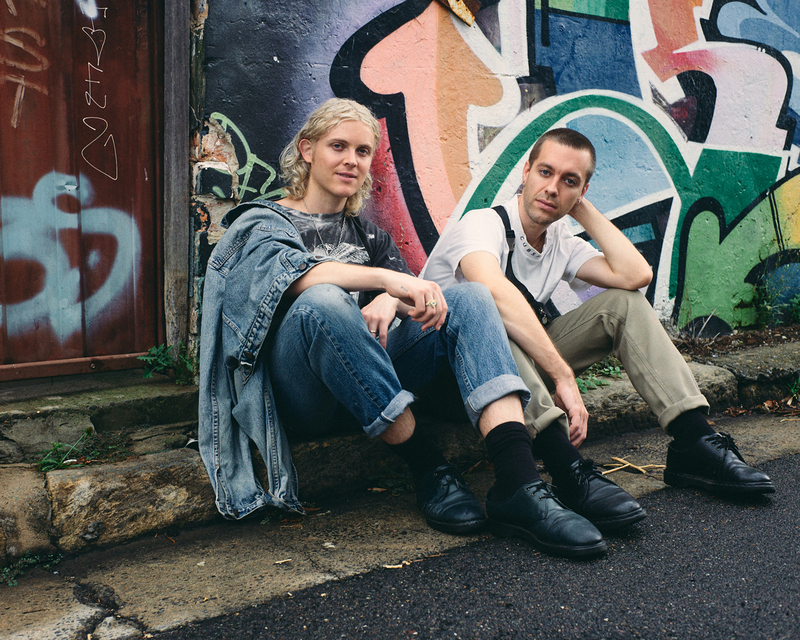 Band members, front men and real-life partners, Tim Nelson and Sam Netterfield lead the band on lead vocals and keys respectively. Backing them up to make one mesmerising group of four is Dan Puusaari on drums and keyboardist, guitarist and vocalist Zoe Davis. 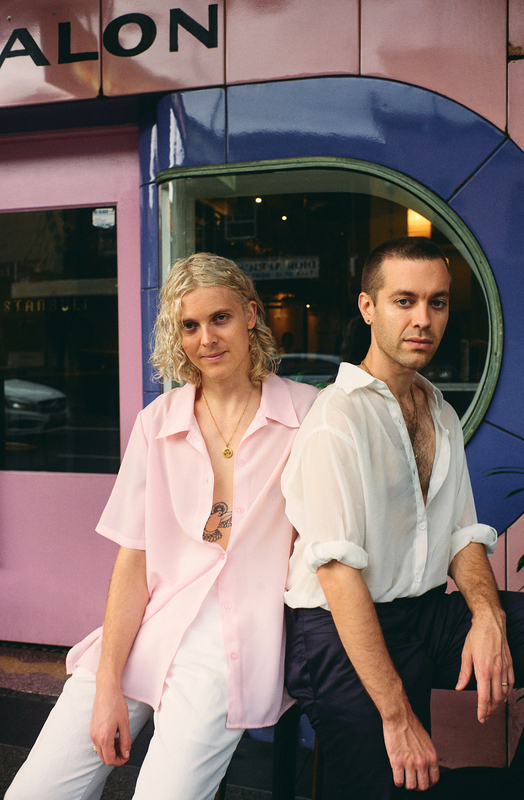 As well as the band's sweet pop-synth sound—it’s Nelson and Netterfield's real-life enchanted romance and cosmic style that sets the band apart, both on stage and off. 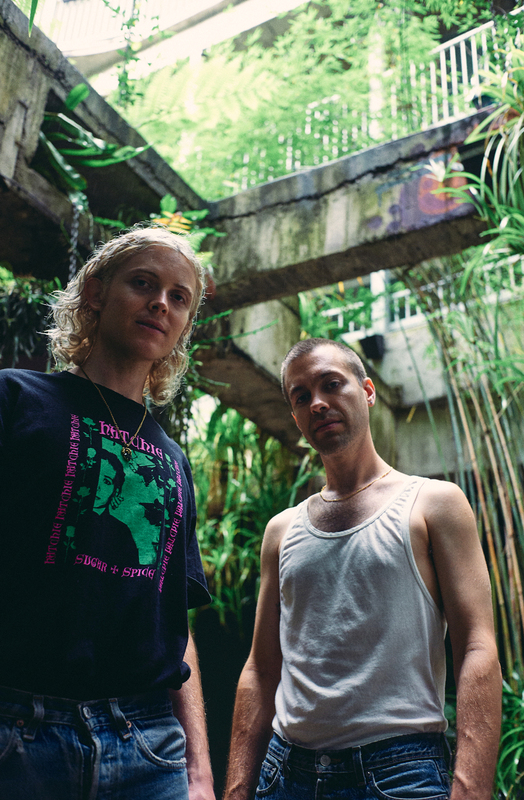 How did Cub Sport kick off? I started playing the piano when I was six and I’ve been playing music in some form since then. I started writing songs in high school and that [was] basically the start of Cub Sport. Dan recorded drums on some of my first demos. When I booked my first gig I asked Dan, Sam and Zoe to be my band and we’ve been playing together ever since. For stage looks and music videos, I’m really inspired by icons who have pushed boundaries surrounding gender and sexuality. Freddie Mercury, David Bowie, Madonna, Britney Spears, Cher and Kanye are all style heroes for me. Both wear vintage tees, jeans and Sacred Honey jewellery. 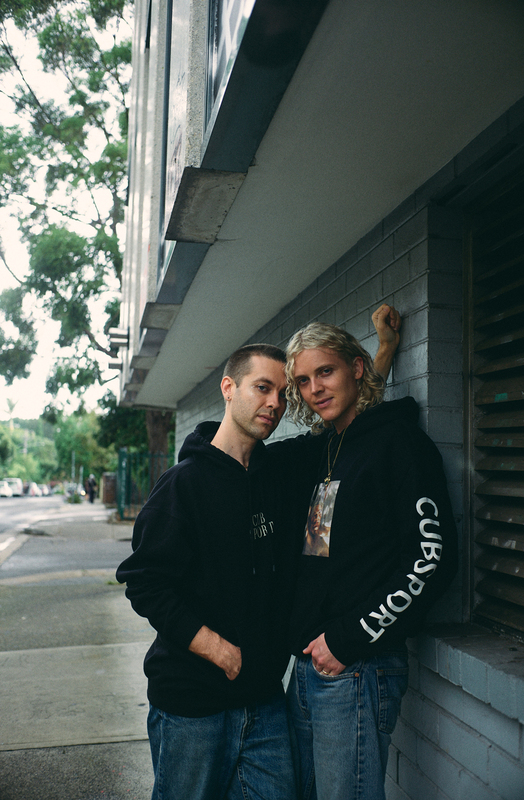 Cub Sport merch. We wear our own merch a lot! You're touring right now. What's your favourite thing to wear onstage? My go-to look for a bunch of our recent shows has been a one-off gold jacket designed by Harris Reed, which is so amazing to perform in. We’ve got some amazing new looks in store for our Australian tour which I’m super excited for people to see! 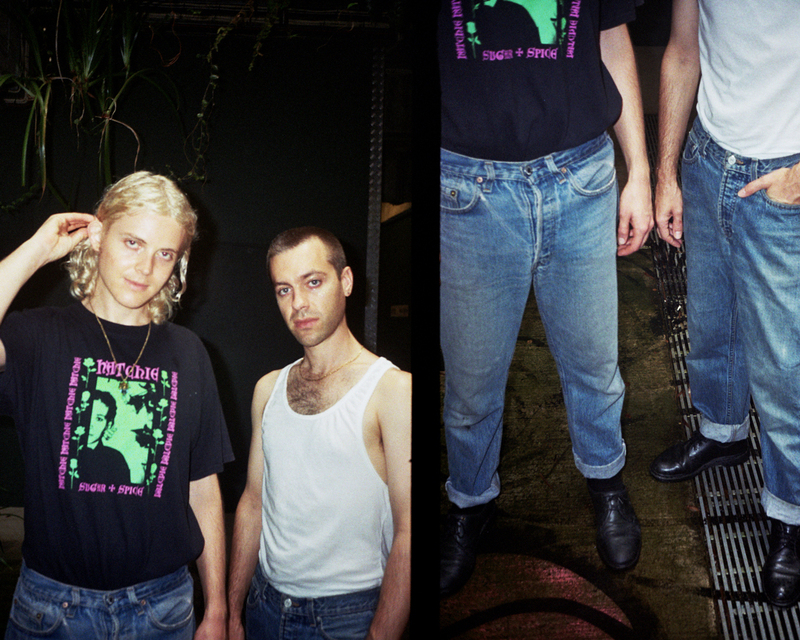 Both wear vintage t-shirts, vintage pants and Sacred Honey jewellery. Do you have an item of clothing you love to pieces? I have a tie-dyed grey and white Harley Davidson tee that I’ve worn so much it’s literally falling apart. It’s super lightweight and comfortable so I love to fly in it. Last night, Mallrat gave us a Cher T-shirt she found in a New York vintage store last year and that’s gone straight to the top of our list of fave clothing items. Who do you follow for style inspiration? Some of my favourite [Instagram] accounts for style inspiration are Alton Mason, Harris Reed, Kurt Johnson, Carlos Darder, New Pandemics, Ludovic de Saint Sernin, Luke Day, Aquaria, Sasha Trautvein, Risk Magazine, Another Man Magazine and Pansy Mag. Both wear vintage shirts and tailored pants with Sacred Honey chains. Most of our clothes are thrifted or band merch. Australian jewellery brand Sacred Honey is a favourite! Nelson wears vintage Harley Davidson t-shirt and vintage denim. 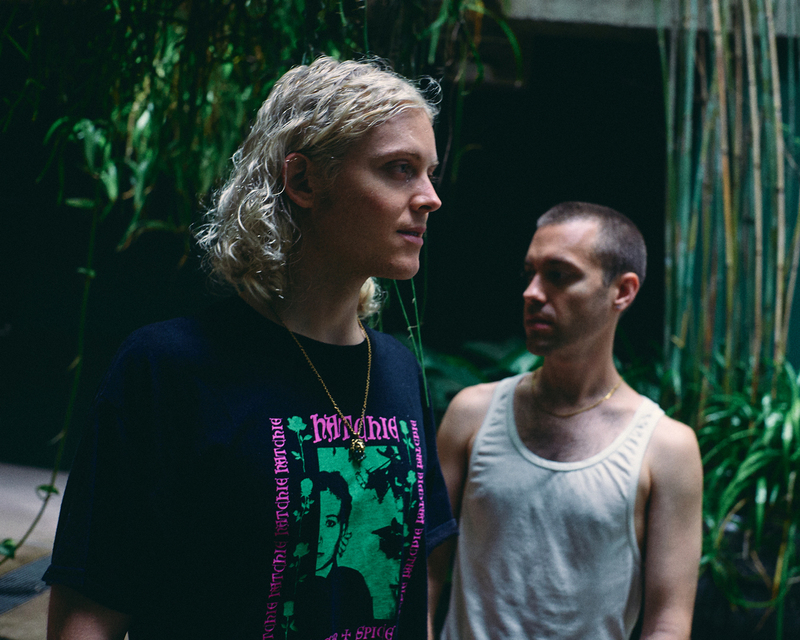 Netterfield wears Cub Sport t-shirt. You guys got married last year. Can you share a bit about the big day? How did you style it? It was a super chill wedding with about 100 guests. We walked down the aisle to Running Around by Buddy Ross alongside our dogs Missy and Evie, who were our bridal party. The whole menu was vegan and gluten-free, our family and friends made beautiful speeches, our first dance song was Solo by Frank Ocean—it was all perfect! What did you guys wear? We both wore suits. I wore a royal blue three-piece suit with a really light pink shirt, black tie and an aquamarine necklace. Sam wore a light grey and blue window check suit with a beautiful white shirt and a Turkish evil eye necklace. Our looks came together pretty last minute, but we always knew it would work out as it was meant to. Both wear Cub Sport hoodies, Levi's jeans. 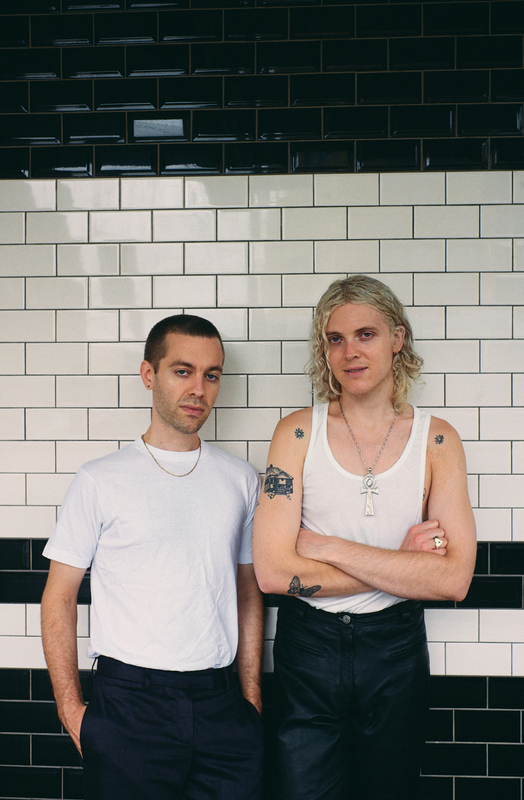 It's amazing that the story of your own romance is woven into each Cub Sport album. How important is it for you to share this in your music? Being so open on a personal level and working as a completely independent group wasn’t always our intention, but our personal and professional journeys, and the way they’re intertwined, have led us here and it feels right. We love having the freedom to do what feels right for us and I feel like in some ways, our independence allows us to exist in a world outside of just music. It’s really exciting to be building our career our own way. 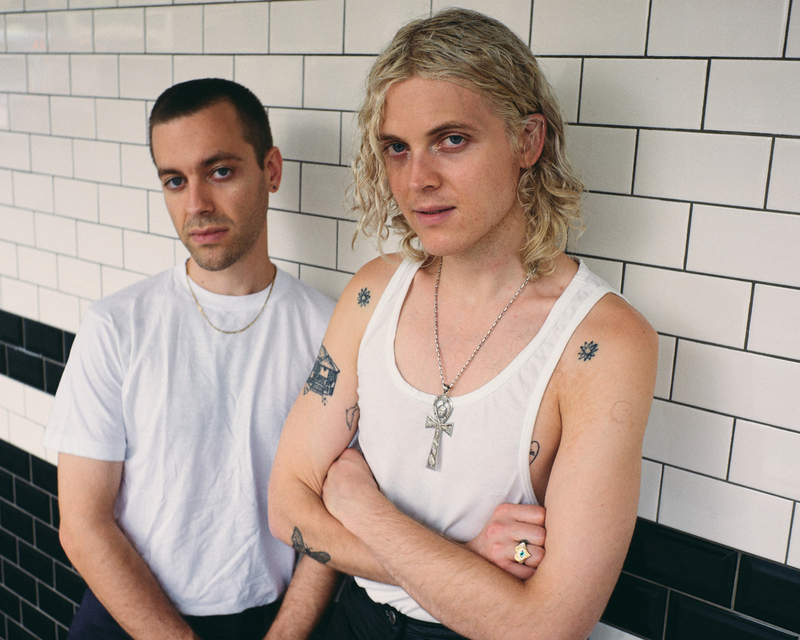 So what's next for Cub Sport? We have our Australian tour all through April! They’re our biggest shows to date and we’re so so excited for everyone to see what we’ve been working on, the scale of the production is kind of mind-blowing. We head back to North America for a big tour through May to June, then back to the UK and the States later in the year.